With your lease ending soon, East Bay BMW is available to assist you through every aspect of the lease-end process. One of our professional lease end advisors can provide you with straightforward information to help you make a lease end decision that meets your needs. A: Yes, a pre-inspection will provide you with an itemized list of excess wear and use charges. This information will help you determine whether repairs are necessary and whether or not you wish to complete them before the end of the lease. 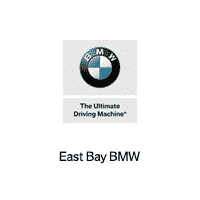 A: Yes, if your BMW qualifies for the BMW Certified Pre-Owned process then East Bay BMW can certify your BMW and process the paperwork to purchase it. A: Yes, there are owner loyalty programs available. A Lease End Advisor can provide you with the program details.